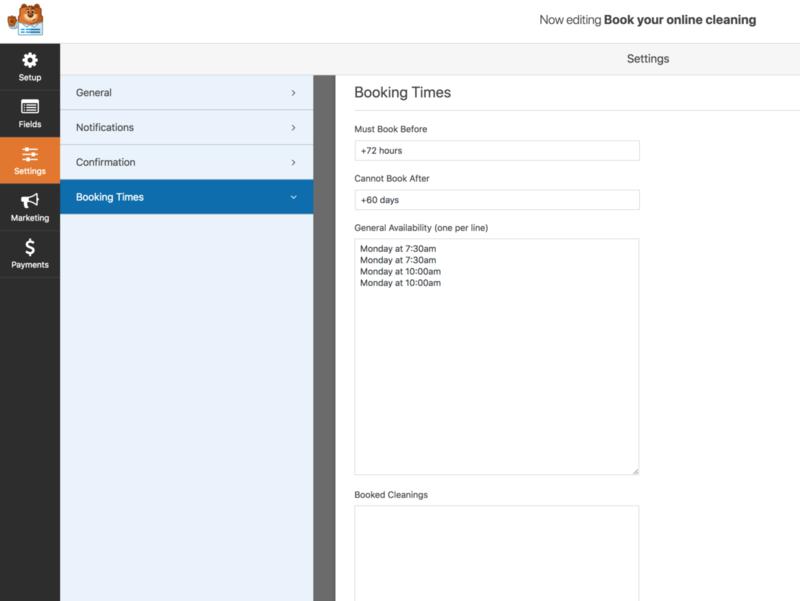 I built an online booking form using WPForms that allowed customers to select from a list of available days/times. Dynamically generate a list of available times by comparing the two. I added a settings page to the form for specifying general availability (ex: Monday at 7:30am) and to edit a list of unavailable day/times (ex: Monday, January 28 at 7:30am). When the form is submitted, the selected date is automatically added to the unavailable day/times. We’re using the wpforms_select_field_display filter to update a dropdown field with the available options. We use the list of general availability to build a list of the actual days/times available from now until 60 days out. We then remove any day/times that are already booked.